Realtors need to know alot of stuff. A good realtor should be prepared to talk on anything from septic and electrical systems, to architectural styles of a home, the quality of nearby schools and hospitals, and overall housing trends. A good realtor should be prepared to give an intelligent response for any number of situations. But what about water features that are part of a real estate deal. The Aquascape Academy Hands-On Training is a new initiative that has been rolled out by Aquascape Inc for professionals and business owners in the pond and water garden industry. Its never to cold, and never too far to make your pond and water garden business more successful. And even better still is doing it together with other pond and water garden professionals of every type from retailers and distributors to contractors and service providers. Aqualand, the Aquascape headquarters located in St. Charles, Ill. is the place, and the winter months are the time that it all happens. When could be a better time to start revving up your business up to take it to that next level? Do you have 2 days in your down time to make your pond and water garden business significantly better? Leaky pond issues seem pretty common during Autumn and times of heavy leaf fall. The leaves might be causing the water loss. 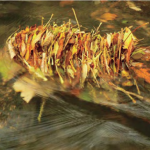 Many pond and water feature owners in New Jersey and other areas of the world that experience the Autumn season will experience water loss from their pond during the Fall. Don’t panic, but be sure to react quickly. 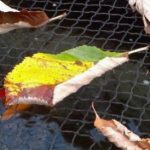 POND NETTING, WHAT TYPE OF POND NETTING IS BEST? By: Mike Gannon | Posted On: October 10th, 2017 | 1 Comment on POND NETTING, WHAT TYPE OF POND NETTING IS BEST? Pond netting is not all the same. Do you have questions about what type of pond netting is best for your pond? You’re not alone. Here is a great question that came into Full Service Aquatics website. Q: What type of netting is best for a pond 5′ by 10′? There are so many online at all different prices. I am so confused. Want to keep predators from eating all the fish this year. Help? Another Pondemonium event is in the books for 2017. Aquascape Inc.’s annual coming together of pond professionals from around the world was held at the Q Center in St. Charles, Il; the “water garden capital of the world”. This growing event was very well attended in 2017 with professionals coming from as far as Australia. The UK had a noticeably growing population of pond professionals in attendance for as well. 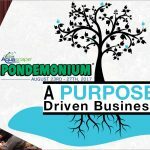 The 5 day event, August 23-27, is informational and inspirational for all types and every level of pond professional. Greg Wittstock‘s keynote address focused on “A Purpose Driven Business”, and gave attendees many choices on how they’d like to be informed and inspired with offerings ranging from; full day leadership boot camp and workshop, presentations on marketing, best practices, employee training, and services for your pond and water garden business. Let’s not forget a head spinning amount of topics for open discussion in a round table format with everyone able to give input on any given topic or just listen along. Round table discussions this year were very well attended with many having standing room only. How many homeowners have that old swimming pool in their yard? You know, the swimming pool that has not been used in years, needs repair, is an unwanted maintenance nightmare, gives no inspiration to look at, just is not fun at all anymore, and is dragging down property value. How many homeowners have THAT swimming pool in their yard? In late Winter of 2017, during an unusually warm beautiful string of sunny days, the conditions were perfect for building a beautiful pond. The conditions were perfect; for Living The Pond Life. 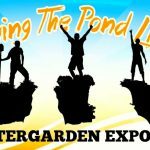 In a town called Shawnee, Oklahoma a diverse group of pond professionals from across the country gathered for the 2017 Water Garden Expo presented by Pondliner.com. This year’s theme was “Living The Pond Life”. “Living The Pond Life”, inspired by Karrie Lightsey, is a philosophy of living, loving, and laughing in the pond keeping lifestyle and profession. Its has literally been described as an epidemic in the USA, autism. The statistics coming out each year are more staggering from one year to the next. Between the year 2000 and 2010 the rate of ASD (Autism Spectrum Disorder) went up 119%. By some estimates, a devastating 1 in 45 American children are affected by ASD. These are crazy numbers and many American families are struggling with the realities of raising these very special children. 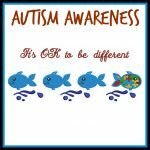 The struggle is not just for the ASD child; it is shared by parents, siblings, entire families. 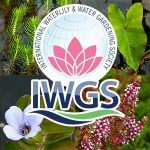 It could have happened just about anywhere on the planet there is a strong connection to the world of water gardening; but the International Water Gardening Society’s Annual Symposium took place in Mexico’s Yucatan peninsula in 2016. The IWGS Symposium attendees on one hand lay somewhere between an assemblage of botanists, horticulturalists, aquatic plant breeder/growers and distributors, water gardening authors and experts, aficionados and hobbyists, water garden designers, builders, and service providers; …while on the other hand, they could be described as a band of adventurers. Hey pond keepers we all have to deal with string algae in your koi pond and water garden at some point. String algae happens to the best of us be if a big pond or small pond, a professionally installed pond or the backyard DIY pond. 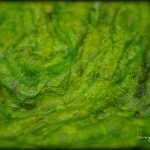 String algae in your koi pond and water garden is nothing new, nothing unusual, and nothing to be ashamed of; so let’s talk about it. Let’s talk algae, shall we? Have Pond Questions? Visit Our Pond Question Library! Subscribe to our newsletter and get exclusive savings, pond tips, news, and more!